Shaping Trenton’s future starts with you. Read an introduction to Trenton250. Trenton250 is Trenton’s long-range Comprehensive Master Plan that will guide the City from now to the 250th Anniversary of its incorporation in 2042. On October 9th, 2014 the Trenton Planning Board unanimously adopted the Vision Report of the Trenton250 Master Plan. The Vision Report identified the following Vision Statement that will direct the city through 2042. These reports take a particular perspective on trying to achieve the Vision and enact the Guiding Principles. They contain a background section that summarizes the issues and opportunities relevant to that topic. The reports then enumerate a series of goals, initiatives, and actions that the City should implement to achieve the Vision. An Issues and Opportunities Report (also “I/O Report”) that serves as an official record of the mutually agreed upon issues and opportunities identified by previous planning efforts, residents, stakeholders, and City staff. The report does not claim to account for every issue and opportunity at all scales. Instead, it focuses on those that are appropriate to a city-wide master plan. The District Plans provide information on where some of the recommendations made in the reports should be applied in each planning district. These District Plans are ideal for those who are particularly concerned about how the City will implement the Master Plan in their district or ward. The Plans do not provide any additional initiatives or actions but instead provide insight on where those recommendations might best be implemented. Trenton’s community-driven plan is ambitious. Implementation will require sustained a long-term commitment. Moreover, the vision must be reconciled with the reality that the City and its partners have limited resources: all initiatives cannot be executed in all locations immediately. The City must also continue to work diligently on long-term catalytic projects such as creating a Trenton Transit Center Transit-Oriented Development, Reclaiming and Redeveloping the Waterfront, and encouraging more active use of the Sun Center. These efforts are not likely to see year-to-year improvements, and the payoff for investments in these projects may not be realized for a number of years. Nonetheless, this is the benefit of long-range planning: it allows the City to see the long-term benefits of consistent investment in projects, even if they are unlikely to yield short-term results. To effectively foster social opportunity and a vibrant economy, Trentonians must take an integrated approach to providing educational opportunities to residents of all ages. In doing so, the City of Trenton along with the community must balance two critical needs. The first is an immediate need to address short-term issues and train residents for jobs that are available now. At the same time, any educational strategy must take into consideration what might be demanded in a 21st Century economy and give guidance for how Trenton can position its residents to succeed in a rapidly shifting environment. Pre-K through 12: Trenton will have more quality educational opportunities for students in grades pre-K - 12, improving the performance of Trenton’s full range of educational institutions, including public, private and charter schools. Workforce Development: Trenton’s diverse adult residents – including those involved in the correctional system - will have access to a wider range of quality jobs and high-demand career pathways Lifelong Learning: Trenton will provide residents of all ages with opportunities for lifelong learning and personal enrichment. To meet its Pre-K through 12 goals, the City needs to improve quality educational opportunities for residents by reforming its pre-K through 12 education system, reduce absenteeism, diversify the schools revenue sources, and connect its public education system to career and post-secondary education opportunities. These strategies are closely related. Reducing the City’s dependence on the State for educational funding by expanding its tax base will give the City more flexibility when it comes to implementing education reform. At the same time, the City of Trenton must understand that improving pre-k through 12 education will require close coordination with multiple entities (most importantly, the school board) to overcome the barriers associated with highly concentrated poverty. By better connecting its public education system to post-secondary education and workforce opportunities, the City will demonstrate to students the value of its offerings. Trenton graduates will be motivated and better prepared to succeed in college and beyond. However, education reform at the Pre-K through 12 levels is insufficient to achieve resident’s community-driven vision. There are currently generations of Trentonians who are not properly trained for a modern workforce. Moreover, the economy will constantly be changing and there will always be a need to retrain residents to meet new economic demands. For that reason, the City of Trenton must work diligently to improve its workforce development system and to coordinate with the variety of regional workforce development providers in the region. This effort must be targeted at increasing access to a wider range of quality jobs and high-demand career pathways for Trenton’s adult population, including those who have been court-involved. Encouraging opportunities for lifelong learning for residents of all ages will allow residents to drive their own education and will support many of the community-driven guiding principles. More robust opportunities for personal enrichment will not only allow Trentonians to equip themselves to find new jobs, but will also help encourage more arts and cultural activities and make Trenton’s downtown and neighborhoods more attractive to residents. To support its efforts to achieve all of these goals, the City of Trenton and its community partners must work diligently to provide universal access to the Internet. High-speed internet access is no longer a luxury, it is a basic utility. Access to the internet will support younger residents’ education, allow working age residents to find work and be well-informed, and increase access to a myriad of online support for lifelong learners. Encourage opportunities for lifelong learning for residents of all ages. Provide universal access to the Internet. Equally important, improving education in Trenton will be one of the most effective ways of supporting other goals and objectives identified in this report. Despite national reports about the reduction in family size and the fact that millennials are having fewer children than previous generations, building a strong pre-K through 12 education system is one of the most effective ways to make Trenton a choice destination for residents and to attract high-quality employers. Moreover, a more educated citizenry will allow residents to better understand and formulate solutions to environmental issues and advocate for better multi-modal transportation solutions. Efforts to develop and attract industries with regional strength into the city will exploit the city’s workforce and available land, increase tax revenues, and place more money in the pocketbooks of residents, making neighborhood retail more viable. A stronger downtown will be more attractive to regional employers and professional workers looking for high-quality places to live, which will, in turn, bring jobs and economic opportunity to all residents. This evolution will further the appeal of downtown, luring even more higher-wage industries and companies to Trenton. Moreover, stronger neighborhood commercial centers will make neighborhoods more attractive to new and future residents, strengthening efforts to make Trenton a regional destination. The economic development initiatives for downtown are focused on continuing to create a great place for people to live, work and visit. This effort starts by focusing efforts on facilitating new construction and rehabilitation to attract new residents to downtown. As the City attracts more residents, business owners should see expanded opportunities for retail growth. These efforts to expand retail will be supported by efforts to establish an arts district downtown while strengthening Trenton’s arts and cultural offerings city-wide. If Trenton is able to steadily build stronger residential, retail, and cultural sectors, the downtown is likely to become a destination for new or relocated businesses, regardless of the industry. This is because Trenton is the natural downtown of the Central-Jersey Region, a region that has a strong economy but which provides little alternative to suburban offices. As employers begin to compete for high-quality talent, it is likely that some will see urban amenities (e.g. walkable streets, access to transit, and cultural diversity) as a competitive advantage. In executing this Downtown Strategy, the first thing the City must do is ensure that the State remains a stable employer in downtown Trenton and that it does not lose its base economy. Next, the City must leverage its best redevelopment opportunities to attract market-rate rental housing development downtown. The importance of getting people to live downtown cannot be understated. Currently, there are not enough people living downtown to support a diverse retail that will make Trenton a destination. Currently, retailers are almost exclusively dependent on 9-to-5 office workforce for clients: one of the reasons the downtown “shuts down” in the evenings. This is a particularly unfriendly business environment for retailers, and especially for food and entertainment establishments. Each new resident that the City can get to live downtown increases the total number of dollars that will be spent downtown. Moreover, they will diversify the kinds of retail that is in demand and increase demand for retail after traditional business hours. The City should also strongly support efforts to establish an arts district downtown while strengthening Trenton’s arts and cultural offerings city-wide. Such districts have been proven to attract new younger residents that interject vibrancy into areas that need it. The combination of both residents and office workers should give more retail establishments a stronger foundation for growth. More retail will make downtown an even more attractive place to live, which will in-turn attract new residents to downtown. As such, the City will need to foster the growth of downtown retail to capture the economic impact from the downtown workforce, residents and events. This means supporting and nurturing a cluster of unique and homegrown retail, restaurants and events to foster increased social opportunities and a niche downtown. In the short-term, the City should also ensure that existing anchor institutions (such as Thomas Edison and Mercer County Community College) are integrated into revitalization efforts and that their long-term development goals are consistent with the Master Plan. In the medium and long-term, the City should work to create partnerships that would encourage other educational institutions to come to Trenton or facilitate the expansion of current institutions. Efforts to build a stronger downtown are strongly supported by other recommendations made in this and other Trenton250 topic-focused reports. Improvements to parks and trails; enhanced mobility options; better neighborhoods and retail districts; as well as improved educational opportunities in the surrounding neighborhoods, will all make Downtown Trenton stronger. Likewise, a stronger downtown will reinforce these efforts in the surrounding neighborhoods. As such, the recommendations in this section must be coordinated with neighborhood efforts identified in this and other Topic-Focused Reports to ensure that Trenton progresses as a well-rounded city that has opportunities for all residents. Strategies must also focus on Trenton’s industrial areas. The City must consolidate industrial parcels and market them in an effort to attract industries with regional strength to Trenton. The City already has a strong industrial workforce and if land is properly assembled and marketed, the City is likely to attract new businesses to Trenton. If successful, the City will see increase tax revenues and more money in the pocketbooks of residents. In turn, this will make neighborhood retail more viable and give the City more revenues to invest. With an emphasis on supporting the growth and expansion of environmentally-friendly industries, Trenton has the potential of becoming a green manufacturing city. Neighborhood commercial efforts aim to exploit retail opportunities in Trenton’s residential areas, many of which are composed of a various ethnic groups, to help create vibrant commercial areas in the neighborhood business districts while filling vacant commercial space. In these initiatives, it will be important for the City to provide services to prospective business owners that empower them with the resources necessary to start and sustain their businesses. Moreover, the City must support immigrant entrepreneurs and the growth of neighborhood-based businesses. This will allow the City to capitalize on its multicultural demographics and heritage. These neighborhood initiatives go hand-in-hand with the housing policy: a stronger housing market will strengthen adjacent retail and vice-versa. Therefore, the City must closely coordinate these efforts. There are economic development initiatives that do not apply to a specific area of Trenton, but impact the entire city. The following are city-wide initiatives to address access to affordable jobs and to improve overall entrepreneurship. They are designed to complement the above area-specific initiatives. Trenton's housing market is full of opportunities with the potential to improve significantly. The city has several stable neighborhoods with a strong home-ownership rate, and others poised to revitalize with the right tools and policies in place. However, Trenton faces a variety of housing challenges impacting its ability to be the region’s location of choice for residents of all income levels. The city’s biggest housing obstacles include an overall suppressed housing market, limited desirable market-rate housing, vacancy and abandonment, a lack of quality affordable housing, and difficulties in maintaining quality housing stock in its neighborhoods. Unlike other frameworks in this Master Plan, however, the recommendations made in the housing report do not directly correspond to this evaluative framework. Instead, the City has identified five approaches to meeting its housing goals. The City must begin work on three core initiatives that will help the City build capacity to work at the neighborhood level and will support city-wide initiatives that focus on affordable housing and historic preservation. First, the City must execute a Property Information Initiative so that it can better utilize the information it has about properties. A key action in this initiative will be the creation of Property Management Database that will allow the City to cross-reference information from inspections, tax department, zoning, fire, and police. At the same time, the City must enact short-term renter and homeowner assistance initiatives. Of critical concern is the fact that some landlords are not investing in their properties and maintaining them to standards required by the city code. When they do make improvements, work is often substandard and dangerous. Renters who live in these properties are often susceptible to illegal evictions and other violations of their rights. A key action the City must take early on is establishing a Landlord Registration Ordinance that sets standards for good property management and consequence for those who violate those standards. Finally, the City has struggled to ensure that its housing policy is aligned with its regulations. There are a number of regulations which are out of alignment with the housing policy outline in the Master Plan. At the same time, Stakeholders have reported that the development review process in the city is rather complex and tedious. The City must simplify the review and approval process (i.e. “reduce red tape”) to make it more efficient, effective, predictable, and transparent with fewer restrictions. To remedy these issues, the City must enact a number of actions under the Housing Policy Alignment Initiative. The goal in the Stabilize, Reinforce, and Strengthen neighborhoods is to support residents and stakeholders without investing heavily to try and “bend” the market in the short to medium-term. This means that in the short term these neighborhoods are not ideal locations for heavily subsidized housing projects or heavy investments in infrastructure or housing programs. In the Priority Investment Neighborhoods, however, the City should be investing aggressively to revitalize these areas. These neighborhoods are unique because of their building assets, location, existing amenities, and/or the existence of successful revitalization efforts. Moreover, these areas have the market conditions to change relatively quickly or are likely to have a significant impact on the housing market if they become successful. As such, initiatives focused on these areas are intended to attract new development, often with the aid of subsidies. However, this strategy is not a gentrification strategy. The City should work closely with residents and stakeholders to meet all of the housing goals in the Priority Investment Neighborhoods. Although all housing goals should be considered when working at the neighborhood level, this initiative focuses on the affordable housing actions that the City can implement city-wide. Preserving the quantity of affordable housing will help ensure that housing is available to all residents regardless of income, while preventing the City of Trenton from being obligated to supply a disproportionately high amount of affordable housing compared to its neighboring municipalities. The City should work aggressively to minimize displacement of both renters and homeowners resulting from efforts to improve the condition of the housing stock and make Trenton a choice location for residency. At the same time, it must improve the condition of Trenton’s existing deed-restricted affordable housing units while encouraging the construction of new low-cost market-rate units in strategic areas of the city. Like affordable housing, historic preservation must be integrated into neighborhood level efforts. Trenton’s historic assets are not just important to Trenton residents. They are crucial pieces of New Jersey and Mercer County heritage, and those entities have an interest in and responsibility to promote their preservation. One of the largest obstacles to historic preservation in Trenton is the availability of funding to support those efforts. As such, the city should build partnerships with the state and county to provide funding and technical assistance for historic preservation and to establish a State Historic Tax Credit program. Such a tax credit would provide homeowners, businesses, and developers with an economic incentive to help revitalize older, historic neighborhoods. The City of Trenton has a transportation network that connects it to the Mercer-Bucks region as well as the larger northeast corridor. Nonetheless, the City has not effectively capitalized on the land use potential around these assets. The initiatives in this section involve large scale redevelopment of areas around transit. The Trenton Transit Center directly links downtown Trenton to the entire Northeast Corridor, thus making it a key economic development opportunity for the city – both commercial and residential. Despite its current disconnectedness from downtown, with several parcels prime for redevelopment, the potential for implementing new transit-oriented development (TOD) in the vicinity of the station is significant, along with creating new pedestrian connections. Trenton should also advantage of Transit Oriented Development (TOD) opportunities at the Hamilton Street and Cass Street Station along the RiverLINE. These stops provide continuous service to South Jersey towns between Trenton and Camden. Furthermore, they provide easy access to the Trenton Transit Station, which provides service to the entire northeast. As a result, residents who live near these stations have a one-transfer access to New York, Philadelphia, Camden, and the rest of the northeast. Finally, the Trenton should continue its efforts to redevelop the waterfront. Route 29 has been re-envisioned to be a very different facility – one that will fit into its context and better serve both the transportation needs and social and economic goals of the city. The current Route 29 will be re-designed as an urban boulevard that will move traffic efficiently, but at lower, safer speeds. It will form the spine of the waterfront redevelopment area in the downtown and will provide physical and visual connections to the river. Successful execution of this project could be a so-called “game changer” the City of Trenton. Trenton’s transportation infrastructure has grown and evolved over the city’s long and productive history, leaving the modern city with a robust transportation system that can accommodate the city’s growth well into the future. The region has decentralized over the past few decades which has contributed to longer commutes, increased peak period congestion, and poor air quality. Though not without its flaws, Trenton’s multi-modal network is a significant resource that will be able to sustain redevelopment efforts in the decades ahead. With changing demographics, and an increased interest in healthy and active transportation, Trenton is poised to take advantage of opportunities to improve conditions for bikers and walkers. However, for too long, transportation decisions focused on accommodating the quick arrival of the automobile, with ample dedicated parking immediately adjacent to each land use. A prevailing mindset that institutional land uses were enough to sustain Trenton, may have led to decisions that favored the quick arrival and departure of their workers. These decisions have resulted in roadways that have favored the automobile, severed the city’s connection to its waterfront, and produces an abundance of surface parking that discourages the impulse to spend time enjoying what the City has to offer. Multi-modal Transportation: Trenton residents and visitors will characterize the City as “bikeable” and “walkable.” Trentonians will be able to safely walk, bike, access transit, and share the streets with motorized vehicles. A high-quality, safe, and clearly navigable trail system and in-street network will form the foundation for a comprehensive bicycle and pedestrian network. People and goods will efficiently move throughout the City and beyond its borders. Legibility: Trenton will be a city that is easy to understand and navigate when driving, biking, walking, or taking transit. Land Use and Transportation Connection: Trenton will have walkable neighborhoods and an active downtown that are supported by a multi-modal transportation system that includes, but is not limited to, high quality transit-oriented developments. Parking will no longer be a dominant land use in the City’s downtown and will be managed effectively to support active land uses, streetscapes and economy, in accordance with Trenton's multi-modal objectives. Job Access: Trentonians will have reliable and affordable transportation options to local and regional destinations. To successfully build a Premier Economic and Cultural Center, the City, County and State must coordinate their transportation investments to build a sustainable multi-modal transportation system that meets the needs of all users. The City of Trenton should develop a data management system of transportation infrastructure to track spending and the expectation of repairs. The city should use data to inform decisions about the development of new infrastructure and transit route planning. The database will also help the City determine and secure funding for projects. This data management system should be used to overlay priorities from various studies and programs in order to develop a master prioritization list. This will require vision, advocacy, leadership, and capital that entail a high degree of inter-department and inter-governmental coordination and a certain level of political will to derive a consensus regarding strategies, funding mechanisms, policies, or overall programs. The City must work aggressively to continue to build a multi-modal transportation system. Working with the Delaware Valley Regional Planning Commission (DVRPC), New Jersey Department of Transportation (NJDOT), Mercer County, the Delaware and Raritan (D&R) Canal Commission, the D&R Greenway Land Trust, and adjacent municipalities, the City of Trenton should develop, design, and construct the missing segments to complete a Comprehensive Capital City Regional Trail Network. This network will include the Assunpink Creek Greenway Park, the Delaware Canal Towpath, the Downtown Wellness Loop, the Trenton to Princeton Rail Trail, the Delaware and Bound Brook Rail Trail, sections of the Delaware River Heritage Trail, and the East Coast Greenway. Trenton should embrace and celebrate its walkable network, and work to design and implement complete streets throughout the City. The City needs to identify and prioritize improvements that will bring about Complete Streets, achieving the goals set out in its Complete Streets Policy. This should be combined with efforts to make all of its roads both safer, and more attractive for all road users. All roadways should adhere to the City’s Complete Streets Policy, and be safe and attractive for all modes. Specific should be targeted as part of this work, including Route 129, Route 1, and Route 29. The City of Trenton must also enhance connectivity by adding alternate routes of travel. The first step in accomplishing this initiative is completing an Improve Network Connectivity Study. The study would evaluate opportunities to add parallel roadways to alleviate congestion by providing additional circulation options. At the same time, the City of Trenton should attempt to manage truck circulation to avoid negative impacts on residential streets. Finally, to ensure that Trentonians will have reliable and affordable transportation options to local and regional destinations, Trenton should improve its transit network. This can be accomplished by increasing the visibility of bus service between the Trenton Transit Center and the Downtown & Capital District, advocate for BRT (or BRT light) on the Route 1 corridor, improving bus stops at the Transit Center, and connecting the City to the Trenton-Mercer Airport. Although highly connected to the region, Downtown redevelopment and major road infrastructure projects have destroyed much of Trenton’s traditional urban fabric. As a result, Trenton is a City that is often difficult to comprehend and navigate. The first step in addressing this issues is undertaking a Legibility Study to assess current issues and opportunities across the City. However, it is clear that without a comprehensive and easy-to-understand wayfinding system, entering Trenton will continue to be very confusing, which leads people to avoid the City and/or not explore it more fully. On a larger scale, the Waterfront Reclamation and Redevelopment Project (also known as the Route 29 Boulevard Project) offers a major opportunity to reconstitute a grid downtown and better connect the waterfront to the City’s core. Finally, efforts to improve understanding and navigation will be aided by re-establishing Market Street as a central travel corridor for all modes. Extending Market Street to State Street, and giving the Trenton Transit Center a Market Street address, will enhance the prominence of this corridor. Market Street should be emphasized as the most direct connection to the waterfront. In conjunction with this effort, the City should make improvements at the Route 1 and Market Street interchange. These improvements will serve as gateways to those entering and leaving the City and allow visitors to quickly establish their bearings. Moreover, they will make the area significantly safer for pedestrians. A transportation system does not exist in isolation, and the connection between land use and circulation cannot be understated in Trenton. The Trenton Transit Center feels disconnected from downtown, due in part to the barrier created by Route 1. The transit center is an exceptional amenity and the City must work to better connect it to the rest of the City. Trenton must also take advantage of Transit Oriented Development (TOD) opportunities at the Hamilton Street and Cass Street Station along the RiverLINE. These stops provide continuous service to South Jersey towns between Trenton and Camden. Furthermore, they provide easy access to the Trenton Transit Station, which provides service to the entire northeast. As a result, residents who live near these stations have a one-transfer access to New York, Philadelphia, Camden, and the rest of the northeast. Trenton’s waterfront is overwhelmed by a sea of mostly state-owned parking lots and is further disconnected from Downtown by Route 29. A reclaimed waterfront will create the opportunity for the development of a vibrant, mixed-use community that could offer new commercial and residential space, and serve as a magnet for new private investment. It could also become a regional destination as a great public space for creative patterns of use and define physical, cultural, and social identities as the heart of Trenton. Finally, the City must use transportation improvements to help make Trenton a destination for history, art, and culture, its arts and culture assets must be connected physically to encourage increased visitation. Visitors should - to the greatest extent possible - understand that they are entering into “districts” and/or are following “paths” that connect arts, cultural, and historical assets. For example, wayfinding efforts should consider reinforcing is the historical “triangle” in downtown, which contains many of Trenton's major Revolutionary era historical sites. In order to accomplish the goal of having a strong, diverse, and sustainable economy with a broad range of employment opportunities for residents, Trenton workers must have adequate transportation to get to their places of employment. The City must work with area organizations, Mercer County, and the Greater Mercer Transportation Management Association, and regional employers to expand workforce shuttles to employment centers outside Trenton. At the same time, the City should provide information on regional employment opportunities with existing transit access. Safe Environment: Trenton will have a safe environment where residents are free from the hazards of land, air, water, and building contamination. Natural Resources and Open Space: Trenton will protect and promote access to its natural resources and open space, including natural ecosystems. Climate and Natural Hazard Resiliency: Trenton’s citizens, assets, and operations will have the best possible protection from the future effects of natural hazards. Conservation and Energy Efficiency: Trenton will be a leader in conservation by reducing its community-wide carbon footprint and improve water conservation throughout the City. The City has prepared multiple plans and conducted numerous studies on properties throughout the City. As a result, there is a large amount of property data buried in reports. This is especially true when it comes to environmental conditions: DVRPC recently completed the Natural Resource Inventory for Trenton. That study published up-to-date information about geology, soils, topography, watersheds, land use, known contaminated sites, and more. However, the City lacks a database that could track and store this information; ensures that it is available to those inside and outside of the City who need it; and cross-reference it with other data from other plans and studies. As a result, identifying what is actually know about a given property has become a difficult challenge. To resolve this issue, the City must establish a Property Management Database. At the same time, the City needs an Environmental Commissions frequently work to preserve and protect environmentally sensitive properties within a community. The Commission should have a dual purpose of preserving and restoring the environmental health of the City. The Commission should have the knowledge base to assimilate the volumes of environmental data from the relevant studies and plans to improve the environmental health of the community. The industrial history of Trenton has left behind blighted, underutilized, contaminated and perceived-to-be-contaminated land throughout the city. To a large degree, these properties are located along water routes that served the city’s transportation needs in the 1800’s and 1900’s and currently form the industrial core and a greenway opportunity for the City. The City must work aggressively create a safe and clean city environment. To protect residents, especially children, from the dangers in their own homes, the City should implementation of Lead Paint Home Stabilization Initiative and support household lead evaluations and abatement activities for historic properties. This effort will also include Anti-littering and Anti-dumping campaigns that seek to reduce the amount of trash and waste in the City, protecting both residents and the environment. With respect to the natural resources and open space, the goal is to both restore and enhance natural ecosystems and promote access to those systems so that Trenton’s residents and visitors can enjoy them. To achieve these goals, the City must reduce water pollution and enhance the natural environments through targeted projects like the Assunpink Creek Greenway Park Project and the Assunpink Daylighting project. These efforts will serve both goals: improving the natural environment and creating destinations that residents can enjoy. Strategic greening of the city complements this effort. By undertaking efforts such as adding open space areas and conducting tree-planting programs, the City can make a more enjoyable environment for residents and help mitigate harm to natural environments caused by urbanization. For these efforts to be successful, however, residents must have access to these natural resources and open space. Increased use will not only increase stewardship, but will also make Trenton a more enjoyable place to live and visit. This will support efforts to promote economic development and housing that seek to make Trenton a choice destination to live and work. The City must work with public and private utility and transportation infrastructure providers to relocate and/or elevate essential infrastructure outside the floodplain areas. As the State Capital and County Seat, the City has a unique opportunity to be the showcase community for Climate and Natural Hazard Resiliency. In addition to working on building utility and infrastructure resiliency, the City must also focus on the efforts to protect residential areas from future flooding events. Residential areas along waterways that fall within 1% and .05% flood zones are of particular concern. The cost of persistent flooding to those areas is likely to be significant as will be the cost of insuring in those areas. The City will need to develop community-driven plans based on sound economic principles to protect those homes from flooding. The City’s Climate Action Plan identified key priority actions for community energy and water efficiency goals. Among other initiatives, the plan addresses options for promoting conservation and energy efficiencies through municipal operations, community-wide energy efficiency, community-wide water conservation, community landscaping practices, traffic and transportation policies, energy conservation and renewables, community initiatives, and community waste reduction, among others. The City must leverage community education and state financial resources to implement this plan across the City. 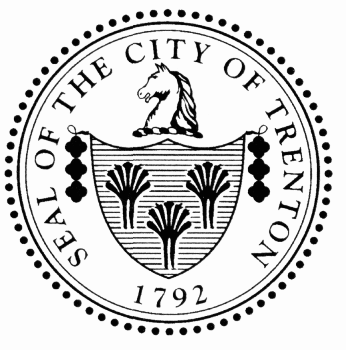 The City of Trenton’s previous Land Use Plan was written in 1999 and a re-examination report was completed in 2005. In the 2005 re-examination, the City made no significant changes to the goals and objective section. As such, the City has been ostensibly operating with the same land use goals and objectives for the past 25 years. Trenton’s Land Development Ordinance (LDO) was last updated in 2010. The current zoning follows a Euclidian model: where a premium is placed on separating uses into distinct zones and there is minimal regulation of the form of buildings. Such a code is inconsistent with the actual use of land within Trenton that residents and stakeholders have identified as special. At the same time, the land use regulations in Trenton are in disarray. The zoning map does not match the zoning ordinance and the code itself can be very confusing. The City also has upwards of 40 redevelopment plan areas, many dating back to the 1980s (the Grand Street Redevelopment Area Plan was adopted in 1984) while many are much more recent. As a result, the redevelopment landscape in Trenton is highly confusing. To start, some of the designated areas are small, such as the Capital Plaza Redevelopment Area which covers just over 36,000 square feet (.83 acres). Other designated redevelopment areas traverse whole neighborhoods: the Canal Banks Redevelopment Area covers more than 210 acres of land in downtown Trenton. Land Use Regulation: Trenton will use zoning and the City’s redevelopment powers to encourage the construction of projects that are consistent with all goals and objectives of the Master Plan, including but not limited to the Vision Topic-Focused Report (also known as the Vision Element). Good Governance in Land Use: The City will have a zoning ordinance and redevelopment plans that are clear, easy-to-understand, and enforceable. The City will need to update its zoning code so that it is reflective of the vision, goals, and recommendations identified in the Trenton250 Master Plan. In addition, the City must undertake a comprehensive review of its Redevelopment Plans. It is recommended that these two efforts are in close coordination, as the work is often overlapping. However, the City must recognize that this will also be a very costly endeavor. Some redevelopment areas identified in the Land Use and Community Form Plan will require new designations while the boundaries of other designated areas will need to be amended. With more than 40 designated redevelopment areas, the amount of work is considerable. The master plan is envisioned to be a “living document” where new plans and studies supplement the initial effort. In addition to writing the remaining elements, the City will need to focus its attention on areas identified for high levels of City investment. In addition, the Master Plan has identified a number of area or topic-specific plans that must be completed. Read more about the community-driven vision for Trenton and find out how this was translated into actionable goals, initiatives, and actions.